Interstitial cystitis is a puzzling bladder condition, in which the bladder wall becomes irritated or inflamed, causing pain and frequent or painful urination. The symptoms of interstitial cystitis are often similar to the symptoms of a urinary tract infection. 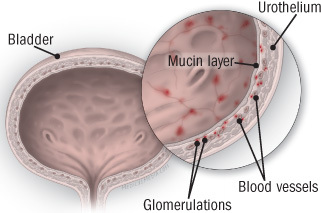 However, in interstitial cystitis, there is no infection, and the symptoms do not respond to antibiotic treatment.